Apple's newest sensation â the iPad Mini - goes on sale Friday, and for a mere $329 you can be one of the first on your block to own this powerful, pint-sized tablet computer. For an extra $700,000 you can purchase the ultimate accessory for your new tech toy â an 18-karat white gold case bedecked in 3,328 natural Ceylon blue sapphires weighing a total of 599 carats. 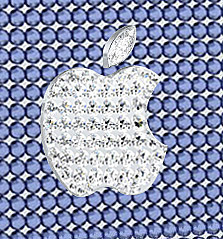 Emblazoned on the center of the case is the iconic Apple logo encrusted with 50 round white diamonds weighing an additional 5 carats. 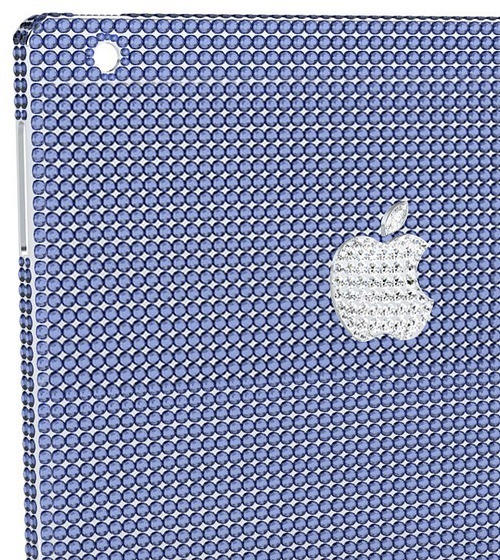 The Natural Sapphire Company â the same firm that in August revealed a $100,000 gem-covered case for the iPhone 5 â will be happy to customize your shiny, new iPad Mini case. Perhaps a ruby-outlined monogram beneath the logo would suit you? Making her case for the over-the-top accessory, a blogger for the Natural Sapphire Company posted the following: "Donât be just another drone on your hour-long commute fitting snugly in with the steel grey of our technological society. Be different, be uniqueâ¦ be conspicuously and resplendently beautiful!!! The new iPad Mini is Apple's answer to Google's Nexus 7 and Amazon's Kindle Fire. The Mini is 7.87 inches tall and 5.3 inches wide, compared with the full-size iPad, which is 9.5 inches by 7.31 inches. Despite its small size, the iPad Mini is a multifunctional powerhouse, as users will be able to take pictures, surf the Web, play videos, read books and listen to music on a super light, pancake thin, exquisitely designed device. According to reports, Apple is so confident in the initial success of the iPad Mini that 10 million units are ready to ship. #ThrowbackThursday We have a sparkling collection of estate pieces at Carter's Jewel Chest waiting for you! Discover the beauty of these 14k with Tanzanite stone and diamonds rings and more today!